Food and beverages are permitted, however plastic lids or straws, glass containers, alcoholic beverages are not permitted. Visitors may also purchase snacks at our Snack Bar or vending machines. If you’re planning a birthday party, the party must be registered and booked with our Visitor Services Department. You may not bring in party supplies, cake or food for a party without reserving a party space. Stroller or wheelchair. Unfortunately, the Brandywine Zoo does not provide either of these items for rental. Please refrain from bringing plastic lids or straws, glass containers, alcoholic beverages, grills or balloons of any kind. Pets are not allowed on the Zoo grounds. As pertaining to the Department of Justice’s 2011 ruling and clarification of Americans with Disability Act pertaining to service animals, certified service dogs are accepted onto Zoo grounds, but must be on a 6ft., non-retractable leash, tether or harness and must be housetrained. If service dogs prove to be a nuisance, sanitation, health or safety hazard to our animals or other guests, you may be asked to leave. Service dogs are not allowed in the goat contact yard. Please note, emotional support animals are not permitted in the zoo. Only working service animals trained to perform specific work or tasks relating to their handler’s disability are permitted inside Zoo grounds. Please refrain from bringing radios, skateboards, roller skates, Heelys or other wheeled shoes, or roller blades, Frisbees, bicycles and other sports equipment. 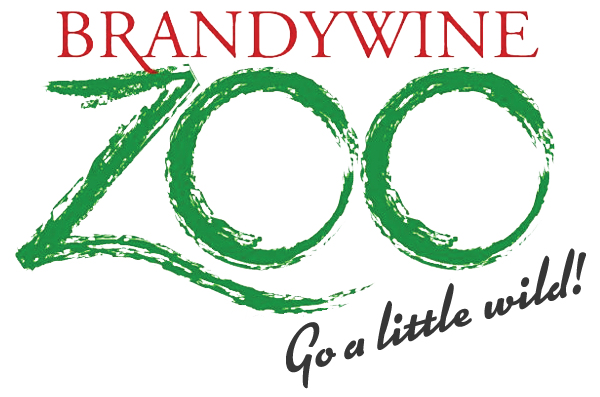 Fall, winter and cloudy days are a good time to visit the Zoo because it is less crowded and many of the animals are more active. If you choose to visit on a hot day, try to come early or a few hours before closing. Please note that some of our tropical animals may not be visible on days below 50°F. We recommend spending time at each exhibit in order to see and enjoy animal behaviors. Please also be considerate of other guests’ viewing pleasure. Brandywine Park features grills and picnic tables for public use, we encourage our guests to “make a day” of their visit and spend time in the park and gardens. When planning a visit to the Zoo, be sure and check the Zoo’s Calendar of Events and Facebook pages for upcoming programs, as well as maintenance, event or weather-related closings. Check the daily schedule posted at the front of the zoo for opportunities to watch animal feedings, animal training sessions, keeper talks or animal shows. Check our Calendar of Events for regularly scheduled programs. You can also call our main zoo phone number 302-571-7747 for updated information about zoo closings for special events. Our animals are on special diets. Please do not share your “treats” with them or bring food from home for them. This includes all animals that live at the Zoo, even squirrels and birds. Check the daily schedule posted at the front of the zoo for opportunities to watch animal feedings, training sessions, keeper talks or animal shows. Check our Calendar of Events for regularly scheduled programs. Speak softly. Loud noises or abrupt movements may startle the animals or cause them to retreat to out of view locations. Don’t tease, taunt or bother our animals in any way. Remember, they are still wild and are sensitive to loud noises, shouting or any other distractions. Please immediately report any inappropriate actions to our Zoo keepers or other personnel. Please respect the animals’ home by not throwing items into their habitats, or crossing barriers. Misconduct will not be tolerated. Exhibit railings and fences are constructed for your safety. Please refrain from climbing on them or lifting children over them. Additionally, please do not climb on rocks, walls or other structures in the zoo. The Zoo’s staff works very hard to make the Zoo gardens and grounds beautiful for all visitors to enjoy. Please use walkways and do not mosey through the posies. No smoking on the Zoo grounds or in any of the buildings. Photography is allowed but be sure to stay behind the barriers and in public spaces when taking pictures. If you’d like to share some of your photos with the Zoo, you may share them on our Facebook page. 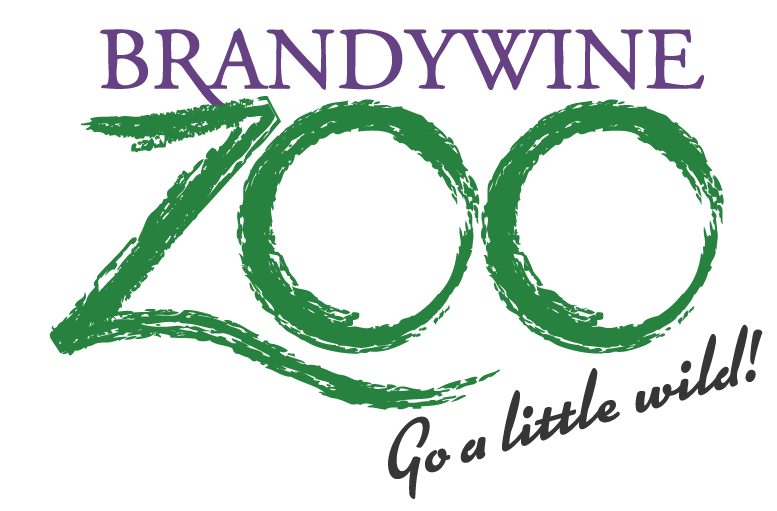 Brandywine Zoo reserves the right to take photos of visitors on grounds or during programs for use in Zoo marketing and promotional activities, without compensation or direct permission.